A protective style/loc maintenance wash day routine that promotes longer, stronger, healthier hair. From beautiful locs to braids and installs, protecting your hair before, during, and after your protective style is important when growing a healthy mane. Our Design Essentials Protective Style Maintenance Pack contains a few of our favorites that will keep your coils healthy and strong from install to take down. Don’t just take our word for it, try it for yourself and feel the difference! 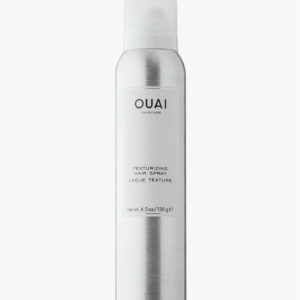 Oat Protein & Henna Deep Cleansing Shampoo (8oz) a first lather, deep cleansing shampoo that results in clean, healthy hair with increased volume and manageability. Honey Creme Moisture Retention Shampoo (8oz) a quick penetrating, lightweight blend of botanical emollients and moisturizers that provide instant nourishment to the hair. Rosemary & Mint Stimulating Super Moisturizing Conditioner (6.6oz) a super charged scalp and hair loving conditioner that quickly penetrates and revitalizes the driest hair conditions while reenergizing and soothing the scalp. 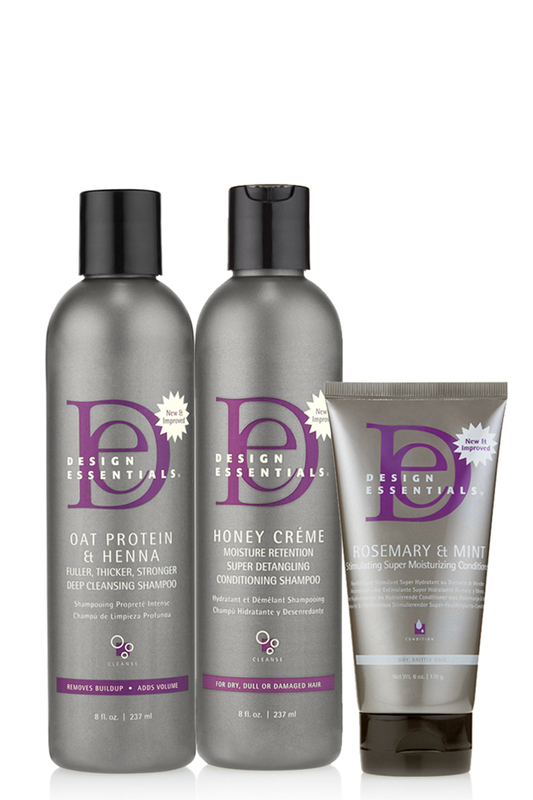 Step 1: Wet hair then shampoo with Oat Protein & Henna Deep Cleansing Shampoo. Lather into hair focusing on the scalp. Rinse thoroughly. Repeat as necessary. Step 2: Apply Honey Creme Moisture Retention Shampoo in hands, rub together, then apply to hair (a little goes a long way). 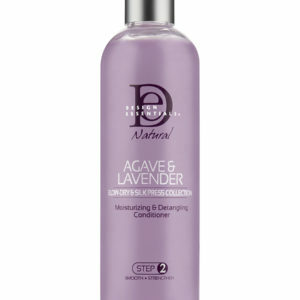 Massage into scalp while finger detangling to allow suds to nourish each strand from root to tip. Rinse thoroughly. Step 3: Towel blot hair and divide into manageable sections. Apply Rosemary & Mint Stimulating Super Moisturizing Conditioner from root to ends. Comb through each section with a wide tooth comb for even distribution. Let stand for 5 minutes (recommended not to exceed 15 min. with or without heat). Step 4: Rinse thoroughly to complete your “Protective Style Wash Day Routine”!